Who doesn’t love BBQ Pork ribs? Ribs have always been one of my favorite meals, but for the life of me, I always seemed to screw them up! My various attempts to barbeque ribs have resulted in either burned or undercooked ribs. Finally, I asked my Dad what the secret is to making his family famous ribs. Apparently, it’s a little patience (something I have not been blessed with) and a few simple ingredients. 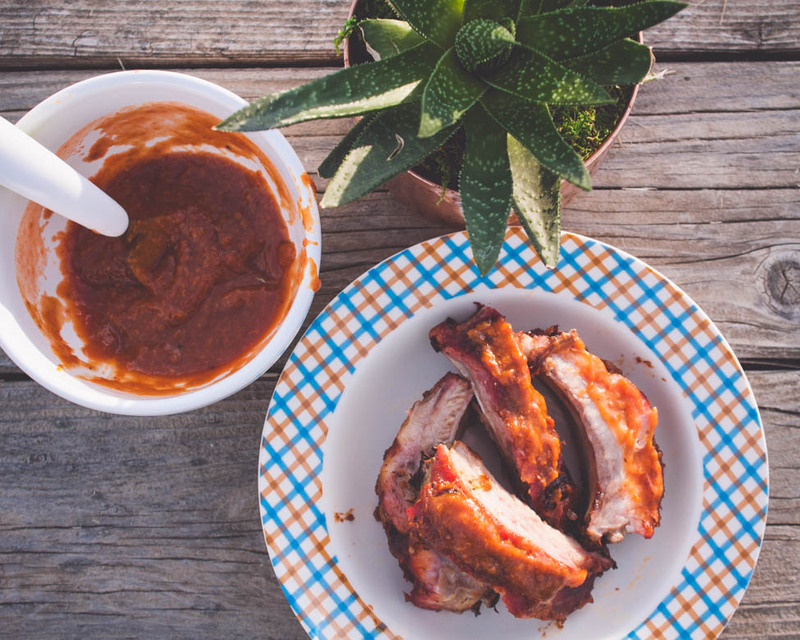 Here is the recipe to Dad’s Wicked Delicious BBQ Pork Ribs, which has been approved by family and firefighters for years! Trim off/remove the membrane. Generously apply dry rub on both sides of the rack of ribs. Cover and refrigerate for a minimum of 12 hours, up to 3 days. After marinating for desired amount of time, place on smoker to smoke for 2 hours or place in oven for 2 hours at 275 degrees. Pull out of oven and drizzle with honey or BBQ sauce. Increase heat in oven or on grill to 350 degrees for 30 minutes. After 30 minutes pull off the grill and let the ribs set for 10 minutes. Cut after every other rib, providing two ribs per serving. Serve as is, or with your favorite barbeque sauce, it is delicious either way! Enjoy!